household standard 86 style socket base. 2.AC input, built-in isolated power protection. 3. 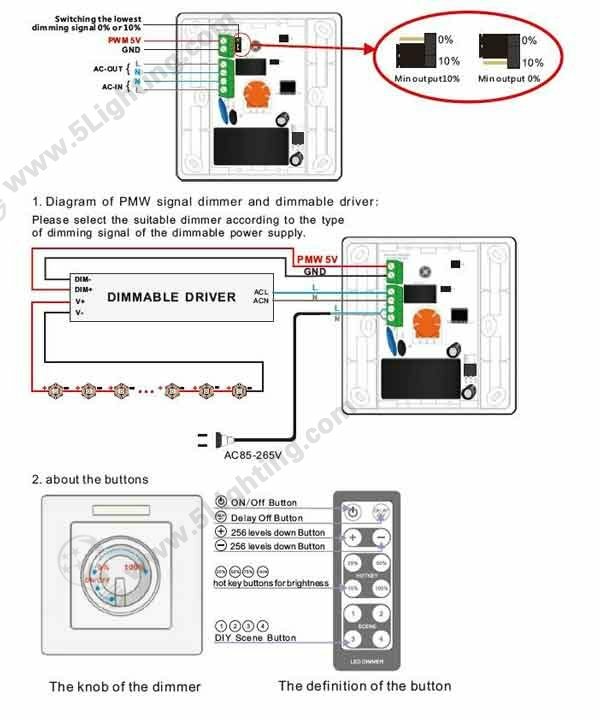 Can dim signal either by infinite switch knob or by IR remote. 4. The lowest dimming signal is selectable as 0% or 10% by changing the switch position. 5. Standard 86 style socket base, easy to install. 6. Delay OFF button, fluorescent indicator, users friendly. 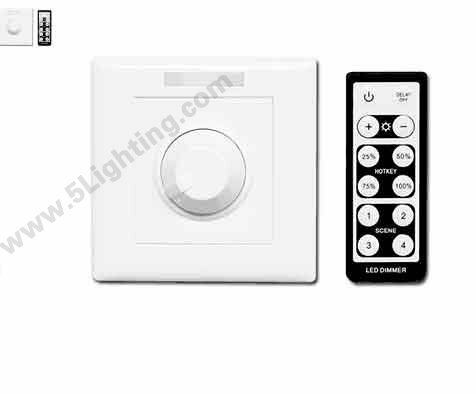 7.25%, 50%, 75%, 100%, 4 brightness shortcuts and DIY modes for fast dimming. 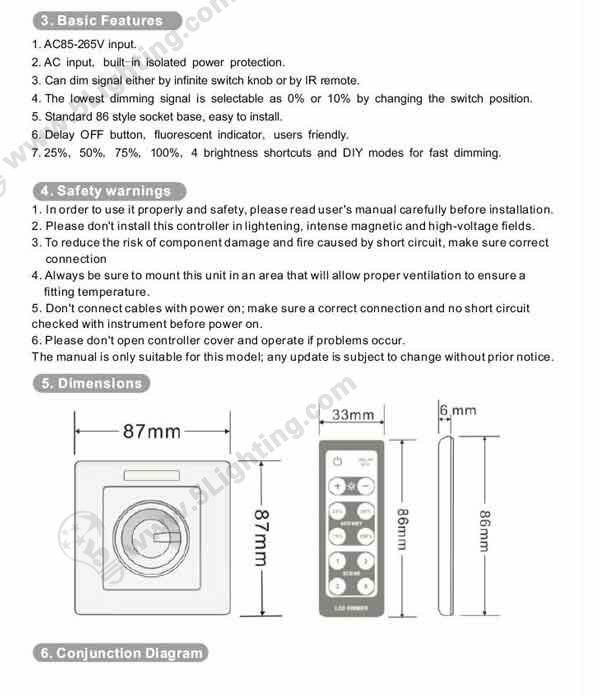 1.In order to use it properly and safety, please read user’s manual carefully before installation. 2.Please don’t install this controller in lightening, intense magnetic and high-voltage fields. checked with instrument before power on. 6. Please don’t open controller cover and operate if problems occur. The manual is only suitable for this model; any update is subject to change without prior notice. 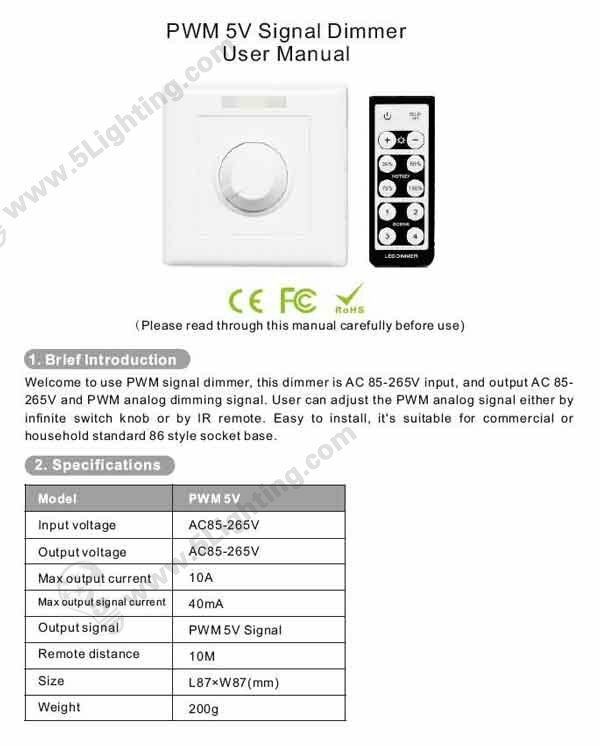 Please select the suitable dimmer according to the type of dimming signal of the dimmable power supply . 1. Any defects caused by wrong operations. 2. 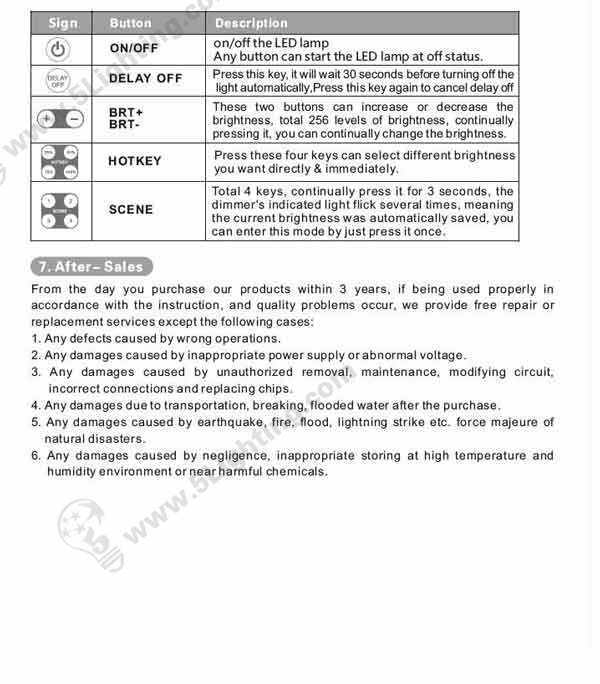 Any damages caused by inappropriate power supply or abnormal voltage. incorrect connections and replacing chips. 4. Any damages due to transportation, breaking, flooded water after the purchase. humidity environment or near harmful chemicals.